Do you ever ponder why BELLADONNA is such a good fever remedy, it must be the most common remedy for fever and tackles even the highest fevers. Since, in any situation, the body is always trying to do its best, what do fevers represent? What is the body trying to do? In children we see these high fevers particularly in the developmental stages of infancy. After the fever the young child often moves on markedly in their development. A transformation has happened. Surely this is where we should see the mental picture of BELLADONNA for use in chronic cases. The individual is trying to transform but somehow that hasn’t happened. The magician is someone who transforms one thing into another. 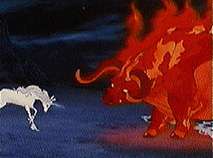 In Walt Disney’s animation of the Sorcerers Apprentice, we see an aspect of the deeper picture of BELLADONNA. Here the young Mickey Mouse tries to run the “shop” while the master is asleep. He ends up flooding the whole house (delirium; imagines water running over the table and window panes – Harts nervous diseases) and being beaten by his own magically transformed broom, now an army of broom people (Del inanimate objects are persons) eventually he is rescued by the master, but until then he runs around anxiously trying to cover up. (Del as if he would be caught SS). Rajan Sankaran talks of the SUDDENNESS of this remedy “The suddenness is one of the main characteristics of Belladonna. Everything comes in paroxysms with suddenness, and goes with equal suddenness.” and goes on to describe a case “ One of the Belladonna patients that I had disappeared from treatment suddenly and after months suddenly called me up from some part of the world and then disappeared for months again”. Again this sense of the magician. The other aspect of this remedy, more obvious to us all, is the heat, the redness, the RAGE. And, if you have treated one of these fevers, you will know the sense of threat. Somehow the child will not be saved. • Delusion, animals of, frightful. • Delusion, murdered, he will be. • Delusion, pursued by enemies. • Fear, gallows, of the. • Fire, wants to set things on. • Unconsciousness interrupted by shrieking. • Deeds of violence, rage leading to. • Fear alternating with rage. Here we have the rage of the Bull, trying to push the matador away. The story is about the last unicorn searching for the other lost unicorns, and in her quest she takes help from a young magician, who himself is on a journey. They journey with a wise Romany till eventually they discover the raging bull who has the unicorns trapped in the sea (you may have seen them yourself playing on the tops of waves). 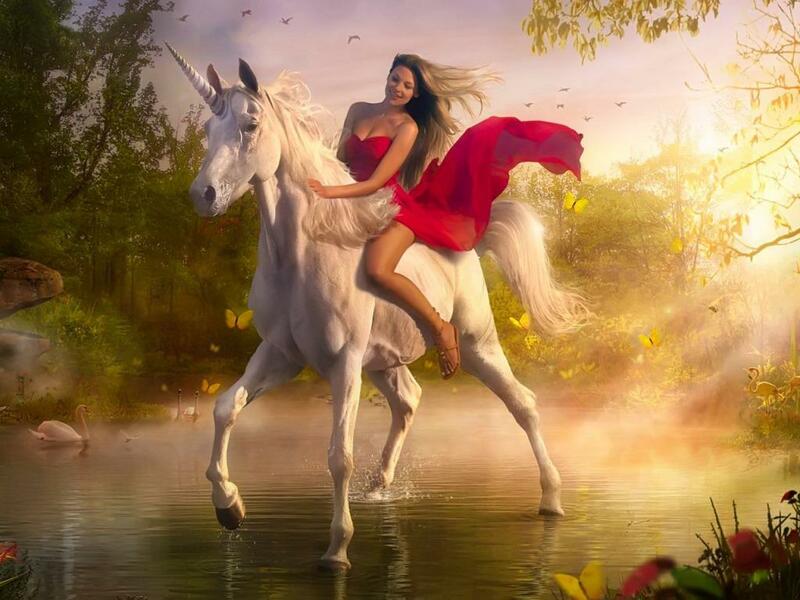 Here the unicorn is the idealised, pure feminine, sexual and wise united in one body, untouchable by men. Immortal. For her quest she takes on the form of a young woman (mortal – she steps down into the world of men and women, this is PLATINA but that is another story) and pursues true love and a valiant young prince to rescue the unicorns. The male rage and anger against all women (in the bull) trying to contain woman is pitted against the innocent magician and the prince. Belladonna has the true power of transformation and it is up to us how we use this power, to oppress or to liberate, to suppress or transform. every time you give BELLADONNA to a child you are transforming the masculine. One can assume that other treatments can only be suppressing the masculine, the YANG, later to burst out as spots, menopausal flushes, simmering violence.